What is complementary medicine for cancer patients? Complementary medicine for cancer patients is alternative medicine that is used in conjunction with a standard therapeutic regimen for cancer. Usually, complementary medicine refers to supportive therapies, such as treatments to boost immunity, reduce side effects, or promote well-being, rather than treatments focused on treating the cancer. What is alternative medicine for cancer? How do I choose an alternative therapy for cancer? Do a lot of cancer patients use alternative medicines? When considering complementary and alternative therapies, what questions should patients ask the practitioner? What are �free radicals?� What is the relation of free radicals to disease, including cancer? How does detoxification help a woman undergoing breast cancer treatments? What herbal detoxifiers are best for breast cancer patients? What is a liver detoxification (detox)? Why should I avoid food additives? Are pesticides dangerous? Can they damage my body? Is there a link between pesticides and breast cancer? What are electromagnetic fields (EMFs)? Is there a link between EMFs and breast cancer? Why is exercise important in preventing breast cancer? Are there certain vitamins and minerals that I can take to help manage the side effects of cancer treatments? What are some nutritional steps I can take to maintain wellness and be healthier? What herbs can be used to help breast cancer patients relieve side effects of treatment? Why is acid-alkaline balance important to preventing and combating breast cancer? What is the connection between dietary fiber and fats and risk of breast cancer? What is a macrobiotic diet? Can a macrobiotic lifestyle benefit a cancer patient? What is the immune system? Why is it important to health? How do you keep the immune system operating at an optimal level? I�ve heard that silver fillings are dangerous because they contain mercury. Is this true? Should I have the silver fillings removed from my teeth and replaced with new fillings? What is the Hoxsey Therapy? What are amino acids? Can certain amino acids help prevent and combat breast cancer? Can turmeric be used as a supplement for prevention of breast cancer? What is shark cartilage? Can it help breast cancer patients? Can flaxseed help reduce the risk of breast cancer? Can flaxseed help reduce the spread of breast cancer in patients? What is the difference between flaxseed and flaxseed oil? Is one better than the other? Does prayer really help in the healing process? Does positive thinking have any power in the healing process? Can constitutional homeopathy be used to treat women with breast cancer? How are homeopathic remedies are prepared and labeled? Is orthomolecular medicine beneficial for women with breast cancer? Can acupuncture help women with breast cancer? 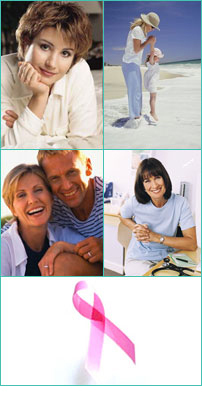 I�ve heard that cancer patients should never get a massage. Is this true? Can I get a massage during external radiation therapy? I�ve heard that cancer patients cannot have massage with oils or creams while undergoing radiation therapy. Is this true? What are green foods? Could they improve my health? Can they help prevent cancer? What is chlorella? How can using it help cancer patients? is a trademark of HC Search Corporation. © 2006 HC Search Corporation. All rights reserved.